The Harvest of the Month in Whatcom County in May is radishes! 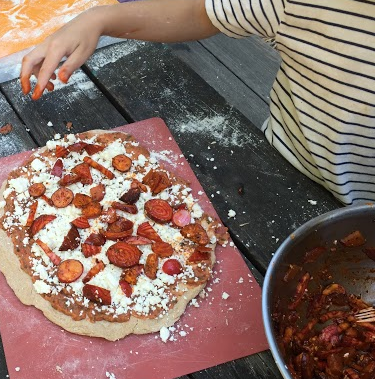 Check out this tasty twist on radishes – instead of pepperoni, kids in our summer Camp Pizza program made “radroni” as one of their pizza toppings. Let sit for a few hours then enjoy as a topping on your pizza or on their own! Click here to learn more about Camp Pizza!